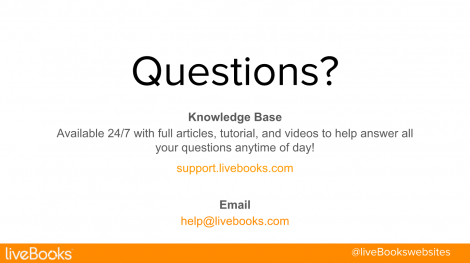 liveBooks is proud to announce that it held it’s first webinar for its dedicated clients on December 20th! Lily Larsen and David Sandstrom, two of our customer support representatives, overviewed the liveBooks website editor. 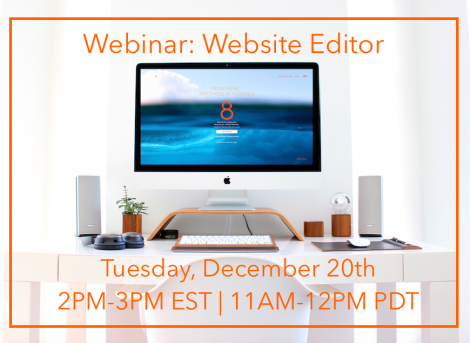 During this hour-long webinar, Lily and David explained the various parts that comprise the editor such as the Dashboard, Design, Content, and Settings tabs. While showing our attendees how to edit every part of their website was the main aspect of the webinar, equal attention was given to features such as SEO optimization, in-line text editing, and much more! If you weren’t able to attend the webinar or would like to review it while making edits to your website, follow this link to view it. You will be prompted to sign up page – input your information and you will be redirected to the video! Have an idea for a future webinar? 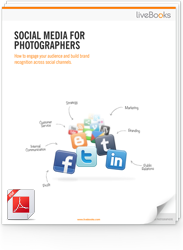 Email us at social@livebooks.com!